Road tripping from southern Indiana to Acadia National Park is no easy task, but the scenery on New England’s back roads was definitely worth the journey. 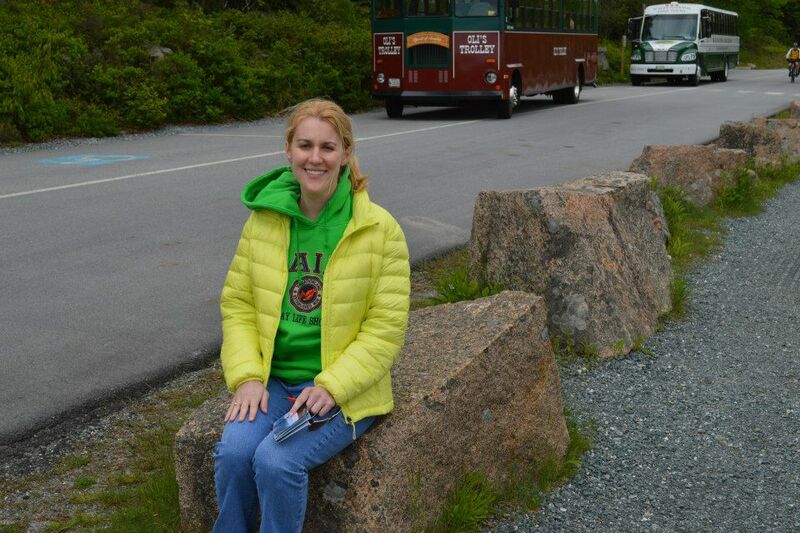 My mom and I visited Acadia in early June and had to wait out a couple of unseasonably cold and rainy days at the hotel in Bangor before traveling approximately 50 miles to our supreme destination. 1. 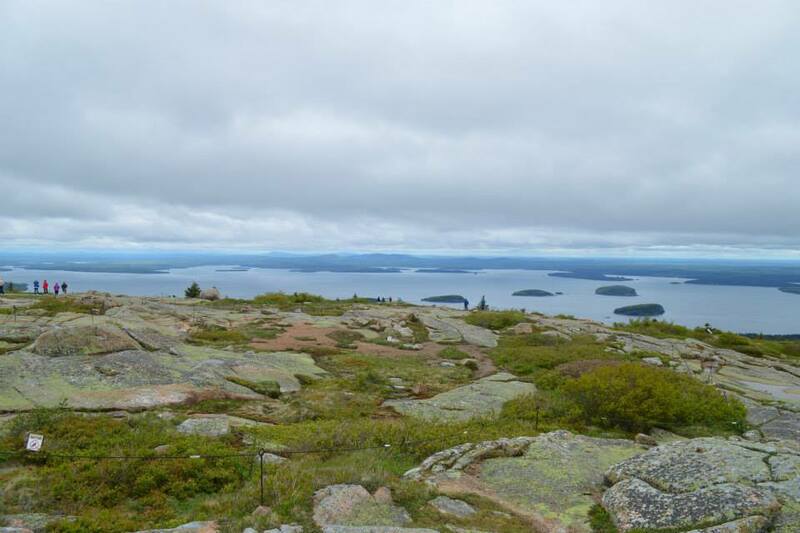 Take in the view from Cadillac Mountain! Acadia’s Cadillac Mountain is a special place indeed. 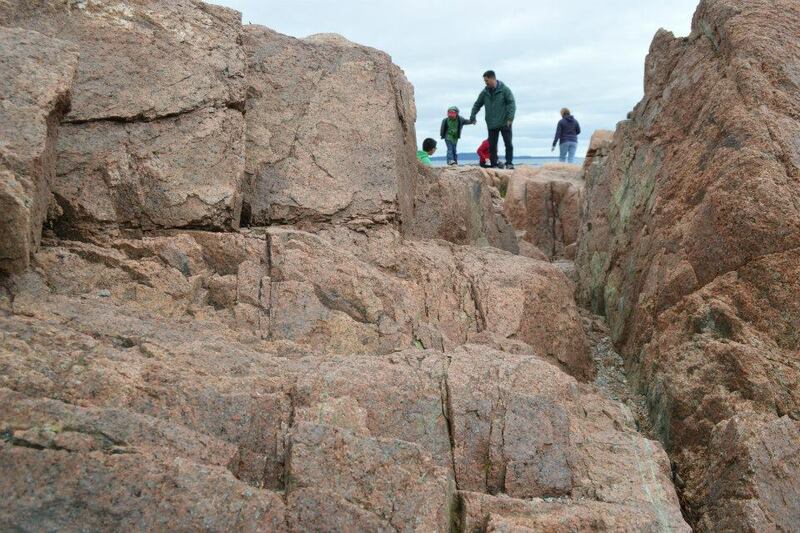 Climb to the summit of the lichen-covered pink granite mountain early enough in the morning, and you can stand on the first place the sunrise touches in the contiguous United States! It was cold and windy at that altitude, so be sure to dress warmly. The majestic view from Cadillac Mountain! 2. Take Oli’s Trolley. 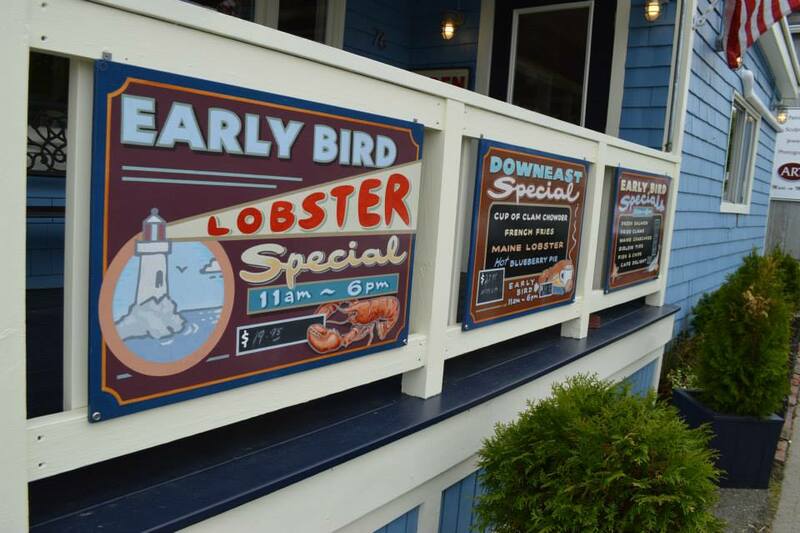 Get a history lesson and conveniently see many of the sights in Bar Harbor and Mount Desert Island when you take Oli’s Trolley. 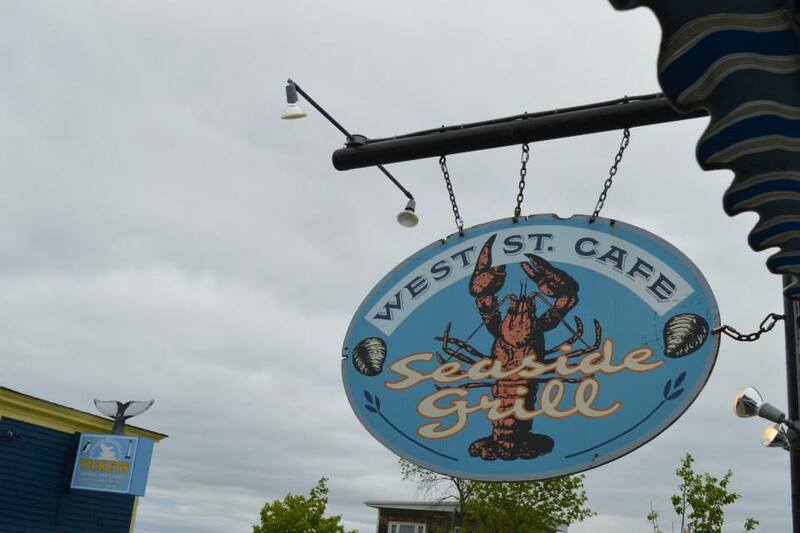 The 2 1/2 hour tour we selected took us through downtown Bar Harbor into Acadia National Park and stopped at must-see sites including Cadillac Mountain, Thunder Hole, and Sieur de Monts Spring. 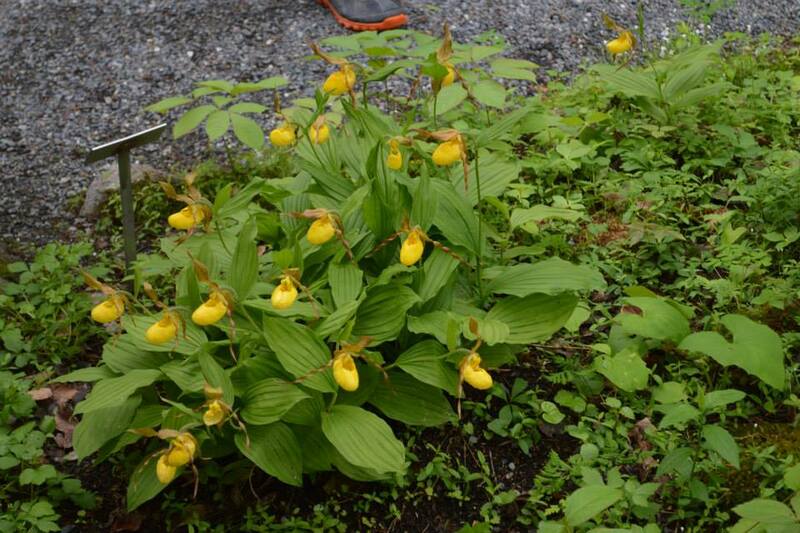 Ladyslipper is a feature of the wild gardens of Acadia. 3. 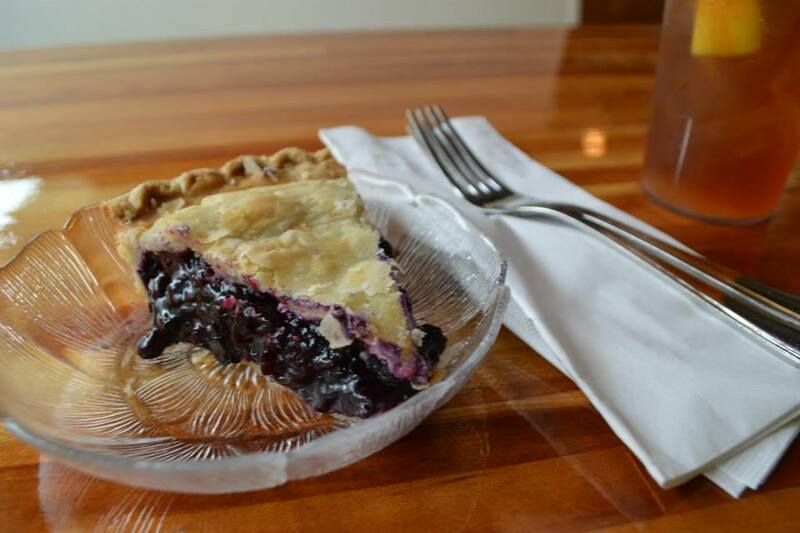 Get a lobster roll and blueberry pie at the West Street Cafe. 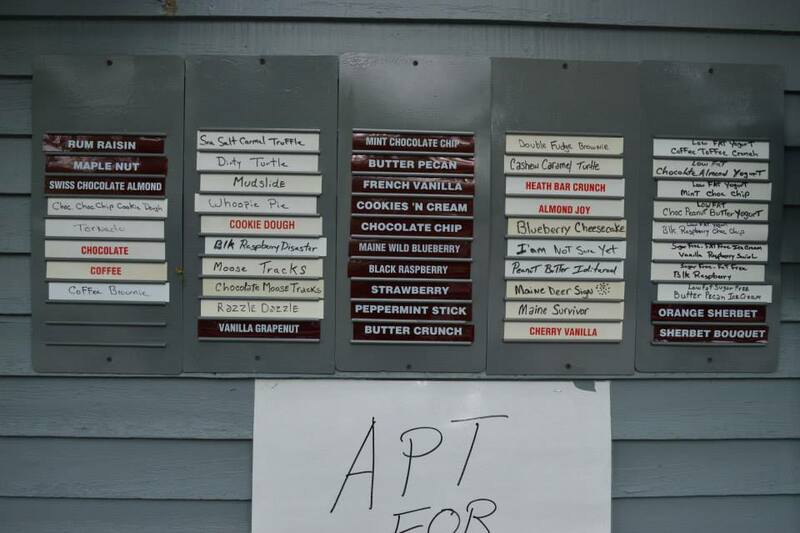 Across the street from Oli’s Trolley Station is pure deliciousness. 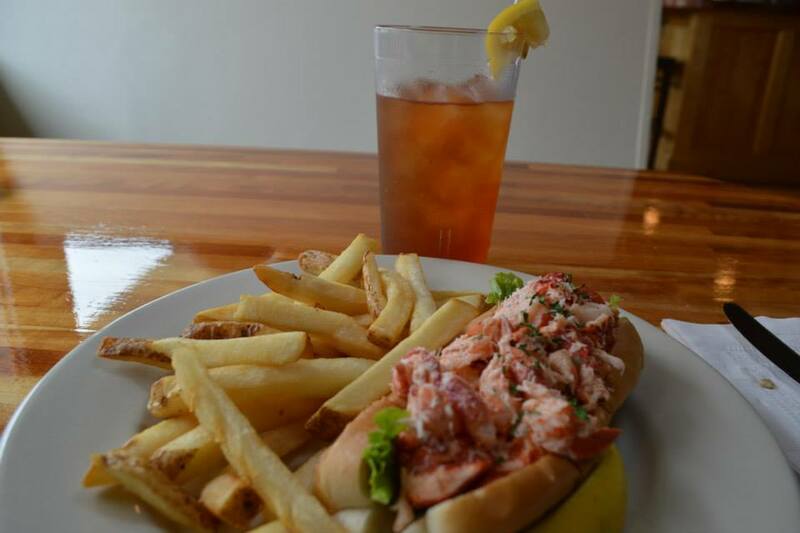 I recommend the lobster roll with fries and the piping hot Maine blueberry pie! Heavenly! 4. 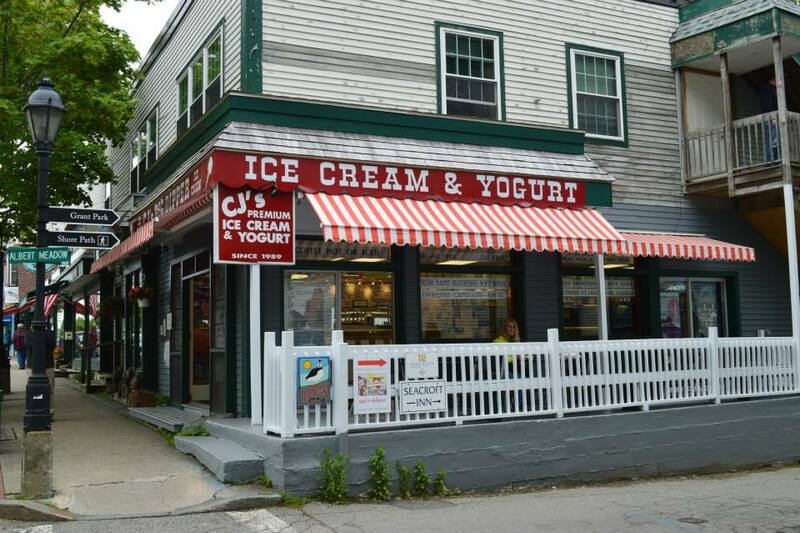 If you’re still hungry, grab some ice cream at CJ’s Premium Ice Cream & Yogurt. 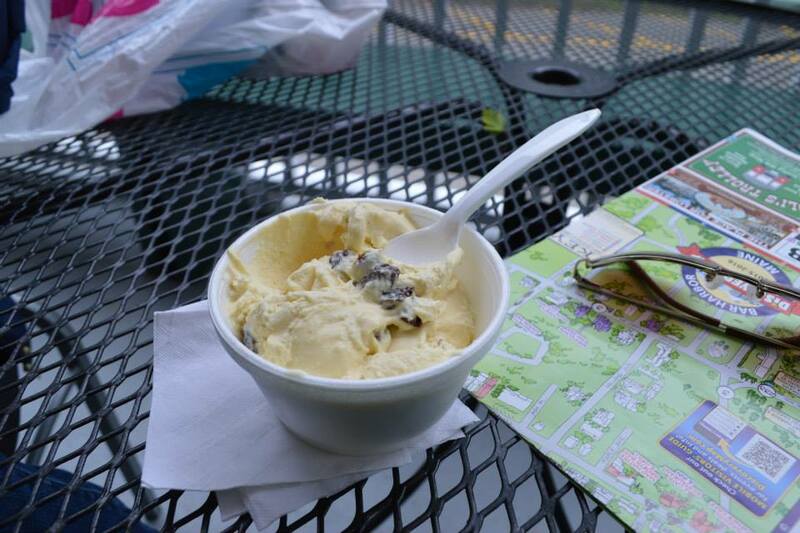 They have tons of flavors from which to choose, but the rum raisin is delicious! 5. 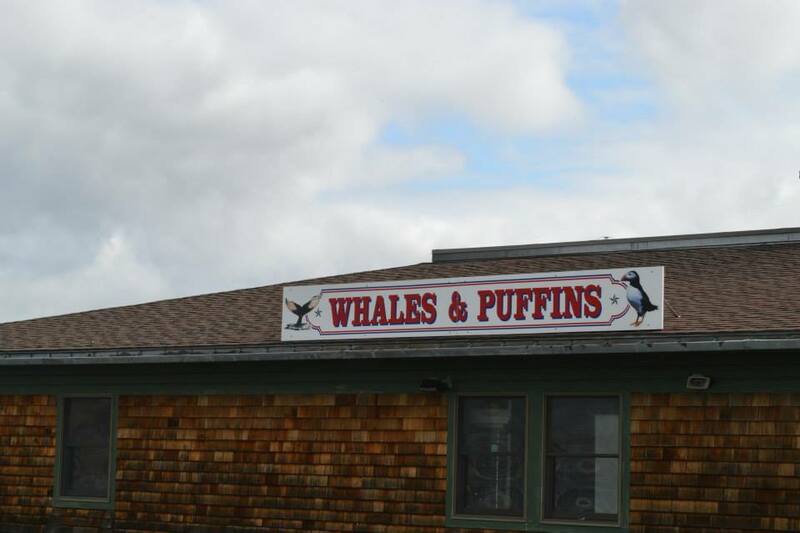 Bucket list item: Go on a whale and puffin sight-seeing cruise. I’m definitely doing this next time. 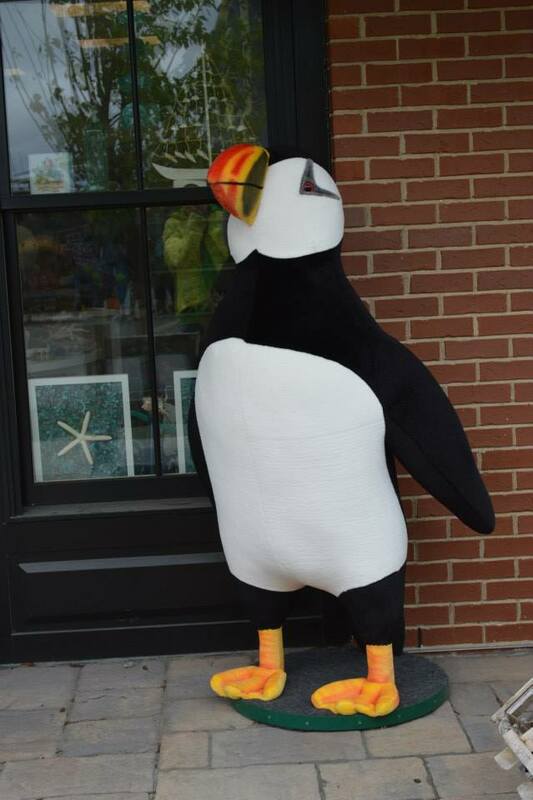 Puffins are so stinkin’ cute! Carl Heilman II’s gorgeous landscape photography fills the pages of The Coast of Maine. Check it out while planning your ultimate trip to the Vacationland state! Looks wonderful. I love a good road trip. I do, too, Miriam! Setting forth on the open road is so liberating! It most definitely is. We’re setting off on our next one straight after Christmas. How lovely! Safe and happy travels and Merry Christmas to you and yours, Miriam! Lovely! The best way to spend a day:) ! Thanks for following my blog! This is a great post. Maine is such a beautiful place. You’re very welcome. ☺ Yes, I would love to hear about your New England road trip experience! I would love to visit Bar Harbor in autumn. Happy travels!